Equipped with a more spacious bathroom and recently remodeled, this unit is ADA certified and decorated with a classy style. Similar to our other rooms, it has a desk, microwave, mini fridge, keurig coffee brewer, and plush robes. 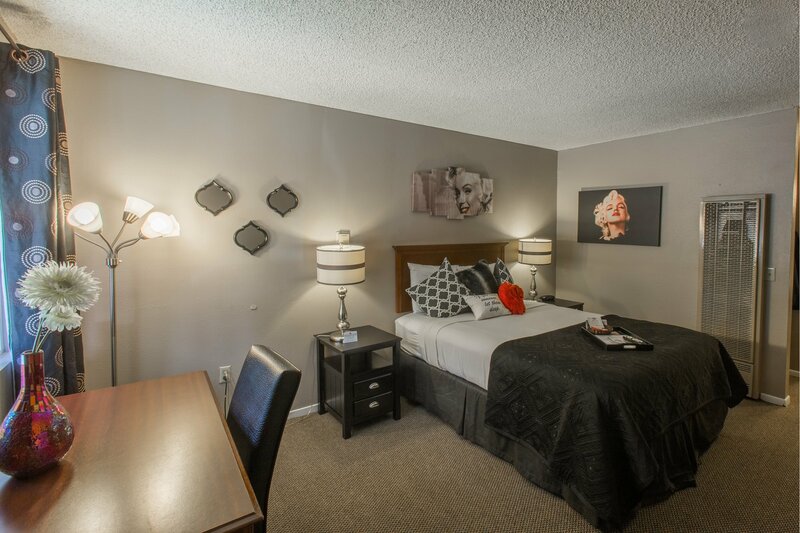 Perfect for a comfortable getaway, this unit has a plush bed and over-sized lounge chair. With bathrobes, flat panel tv, microwave, keurig brewer, mini fridge, ceiling fan, you may not want to leave the room! Decorated with a bird theme,and black and white decor. 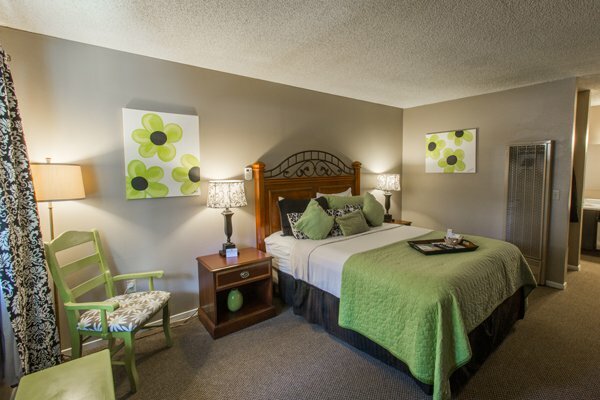 This queen unit is accented with light green colors and flower designs and located next to the pool and hot tub. 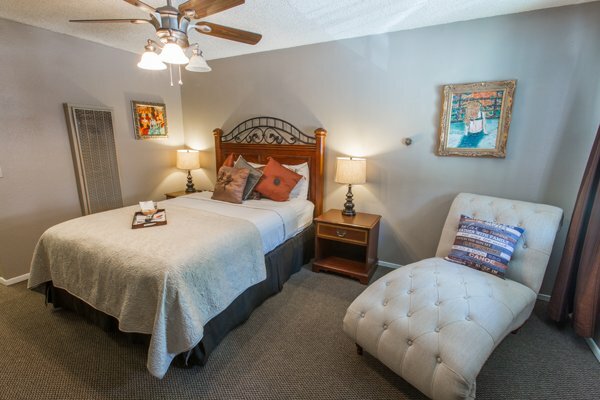 Room 7 features the same amenities that the Alder Inn is known for: a comfortable bed, microwave, mini fridge, keurig coffee brewer, wine glasses and all the small extras that go a long way. 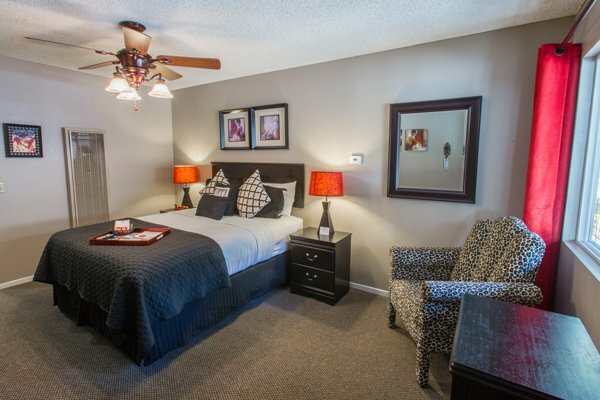 Marilyn Monroe themed comfortable queen bed room located on the 1st floor. 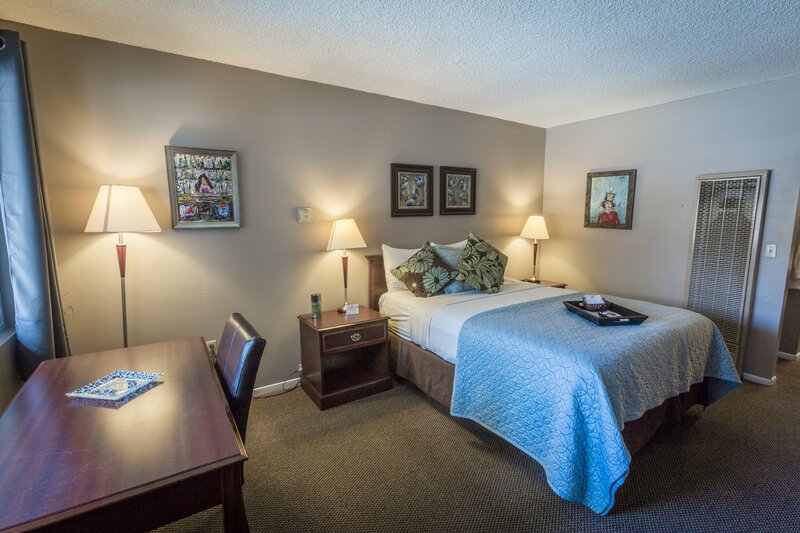 This room features top notch amenities such as plush robes, microwave, mini fridge, keurig coffee brewer, and a desk. 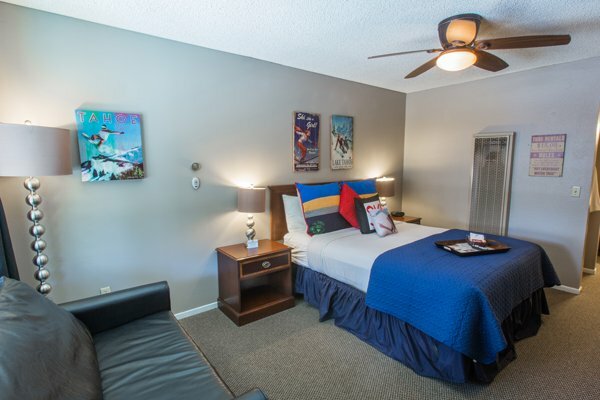 Our stylish ski themed room, looks out over the pool and hot tub. The location is ideal for grabbing the provided spa robes to enjoy a relaxing nighttime moment in the hot tub under the stars. This room also includes amenities such as, a microwave, mini fridge, keurig coffee maker, wine glasses and opener and a ceiling fan. 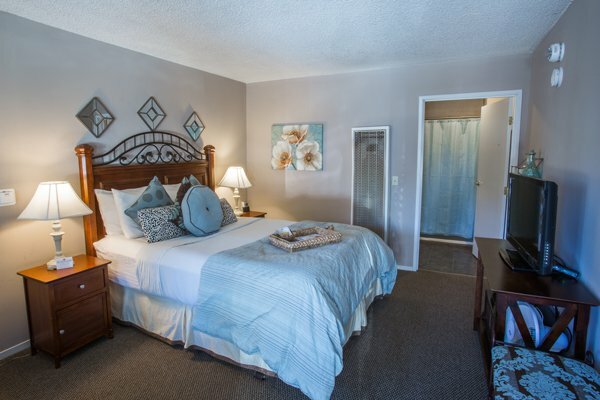 Decorated with woman themed paintings and a comfortable lounge chair beside the plush queen bed, this unit is ideal for one who may want to spend time in the room reading or relaxing. Plush robes, wine glasses and opener, microwave, keurig brewer, and mini fridge and ceiling fan are provided in this room. 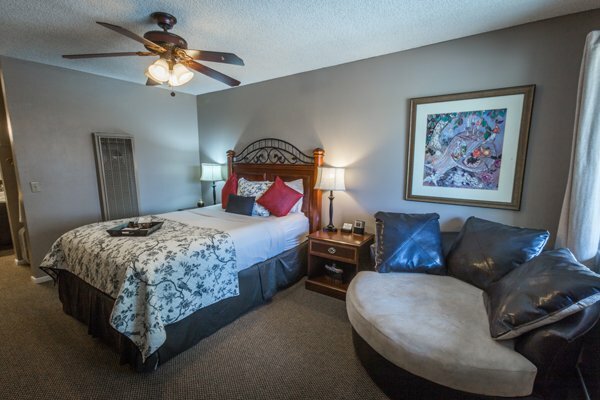 This black and red love themed room comes equipped with an arm chair, comfortable queen bed, and other amenities such as, plush robes, wine glasses and opener, a microwave, mini fridge, keurig coffee brewer, and ceiling fan.